After Security Screen Door Installations In Adelaide? Max Security Doors & Screens are your local experts in all Security Screen Door Installations In Adelaide. When it comes to security screen door installations throughout Adelaide the team Max Security are the specialists. We pride ourselves in all things security doors, security screens and roller shutters. We have a large variety of colours, sizes and designs that one of our friendly team members can assist with. Not only that, but we also offer free a measure and quote on all fully customised screen doors, security windows and roller shutters throughout Adelaide. If you are wanting to keep your house safe at all times and need a new security screen door to be installed call us today. 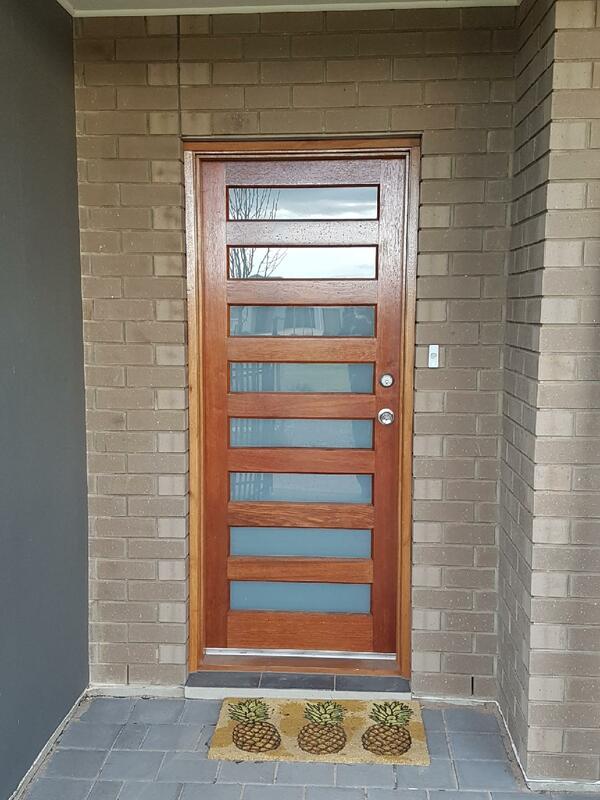 The image below shows a recently completed fully customised Security Screen Door Installation In Adelaide. This security screen door with a wooden oak finish was fitted to an existing door with vision restricted mesh on the inside. The client choose the wooden oak finish to contrast with existing fittings and fixtures throughout the house and existing colour scheme. This allowed for the newly installed security door to flow with the surroundings and outlay of the house and protect its owners from all intruders, insects and prevent any broken windows. This security door features the latest technology of Crimsafe security locks and security door. This particular door is one of the most durable and strongest Security Screen Doors in the market and is the go to option for all security doors and security window screens in Adelaide. The photos below show the completed job for a Security Screen Door Installation In Adelaide. If you would like something similar to this and to get a free measure and quote, please contact us on 08 8186 5733 and one of our friendly staff will help you out.